- After being pushed back across the San River and losing Rudnik on the 1st, the Austro-Hungarian XIV Corps of 4th Army once again finds itself under heavy attack today. Though the Russians are held, the commander of 4th Army requests further aid from the German 11th Army, and Mackensen finds himself once again sending reinforcements - this time the recently-arrived 22nd Division - to bail out his allies. 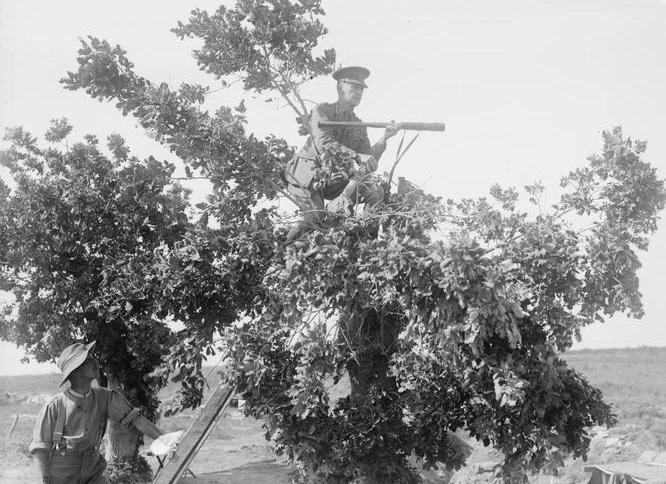 - Since the failure at the beginning of May to break through the Ottoman line in the 2nd Battle of Krithia, the British and French forces on Cape Helles have received replacements for losses suffered by the British 29th Division, as well as the Royal Naval Brigade (from the ANZAC beachhead) and 126th Brigade as reinforcements. Though the British 52nd Division is also en route to the eastern Mediterranean, General Hamilton, at the insistence of General Hunter-Watson, has decided to launch another assault before the Ottomans themselves can be further reinforced. The plan calls for a general assault along the entire front line, with the advance undertaken (from left to right) the British 29th and 42nd Divisions, the Royal Naval Division, and the French 1st and 2nd Divisions. By attacking everywhere simultaneously, the hope is to overwhelm the Ottoman reserves and break the enemy line, seizing Krithia and advancing towards the high ground at Achi Baba. 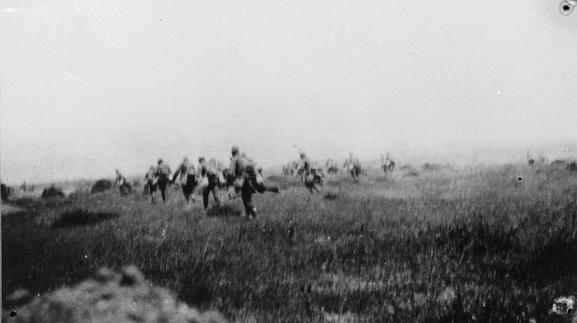 The Third Battle of Krithia, June 4th, 1915. 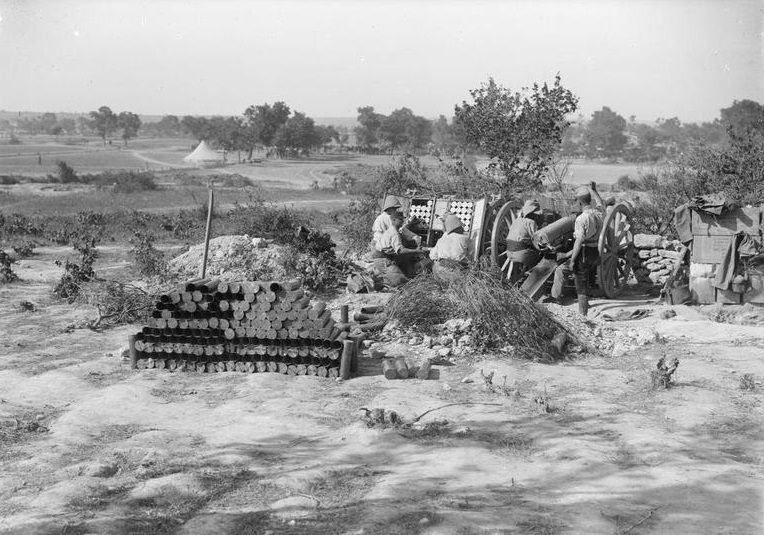 Within the limits of supply and munitions, the British and French have put together a reasonable plan: for several nights sappers have dug trenches towards the Ottoman line, to minimize the time it takes the infantry to cross No Mans' Land, and the heavry artillery bombardment will momentarily pause at 1130am, to lure the Ottomans back to their trenches before resuming the shelling. However, nothing the Entente attacks can do can negate two fundamental realities: (1) the Ottomans have numerical equality, with easier access to their reserves; and (2) the terrain very much favours the defence, as at several points the attacking infantry will have to advance up gullies under enemy fire from the high ground on both sides. A French 75mm artillery gun fires during the Third Battle of Krithia, June 4th, 1915. At 12pm, the four-hour preliminary bombardment ceases, and the infantry go over the top. 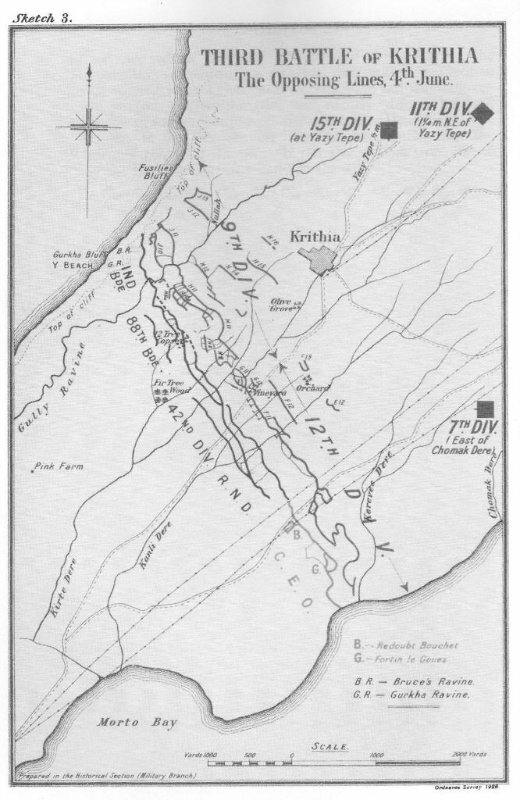 In the centre of the line, 42nd Division, led by the Manchesters of 127th Brigade, manage to break through the Ottoman defences, advancing 1200 yards and capturing not only the main trench line but the reserve trenches as well. The retreating Ottomans are pushed into the open, and no prepared defensive position exists between the Manchesters and Krithia itself. The success in the centre, however, has not been matched on the flanks: 88th Brigade (on the left) and the Royal Naval Division (on the right) have also managed to seize several trenches, but have suffered heavy losses that leave them ill-prepared to defend against counterattacks. Along both coasts, the attack has been an absolute debacle, and in particular infantry of the two French divisions are shot down in droves before they can even reach the first enemy trench. Hunter-Weston sends his available reserves to either flanks in an attempt to restart the advance, but they accomplish nothing but add to the casualty rolls. The failure on the French flank in particular is of decisive importance. From this position the Ottomans are able to fire into the flank of the Royal Naval Division, and after suffering heavy lossses falls back this afternoon, yielding much of the ground captured in the initial attack. This then exposes the right flank of 42nd Division, and Ottoman fire prevents any reinforcements from reaching the Manchesters in their advanced position. By sundown the momentum of the offensive has been completely broken - not only are the British and French no longer advancing, but they are hard-pressed to hold on to the few gains that remain in their hands.